Limited Places Now Remain, Event will Sell Out! 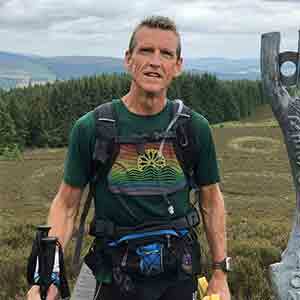 The Race Across Scotland 2019: The Return of the Remarkable & Unique 215 mile (346km) Coast to Coast Ultra-Marathon following the Beautiful ‘Southern Upland Way’ with support across Scotland. 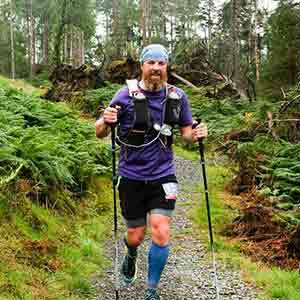 An International field of runners take on this breathtaking Scottish trail taking them from the beautiful coastline of Portpatrick, over the mountains, along the valleys, through the beautiful forests of the Southern Uplands and along trails steeped in history. With live online GPS tracking there is 100 hours to complete the race. The trail is way-marked as one of Scotland’s Great Trails and the Race is a Self Navigation event! 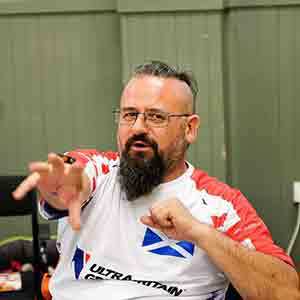 Village Halls across Scotland unite to support runners taking on the challenge of a lifetime. Support teams are permitted at set points during the Race Across Scotland. No pacers are allowed. 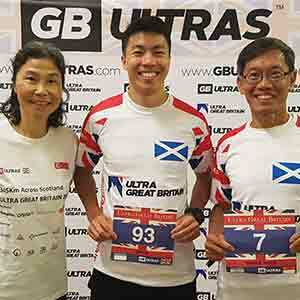 Top 3 Male and Top 3 Female Finishers earn an outstanding two-tone ‘Ultra Great Britain’ Buckle. Top 25 Finishers earn Gold. 26-50 Placed Finishers earn Silver. And 51+ Finishers earn the beautiful Bronze Buckle. All 200 Mile Buckles are awarded at the finish line and the trophies are awarded after the first finishers have completed the race. 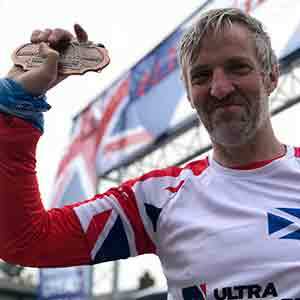 Finishers are awarded the epic ‘Ultra Great Britain’ Buckle upon crossing the finish line. Competitors can now sign-up to the 2019 Event via Paying in Full or using the Instalment Option. The Instalment Option splits the payments into up to 5 monthly payments. Secure Your Place with a £99 Deposit. Followed by 4 further consecutive monthly payments of £100. Total amount payable = £499. Southern Upland Way, North of Portpatrick Harbour, Portpatrick, Stranraer, DG9 8AN. 4.00pm – 9.00pm Registration, Dropbags, Kit Checks, Race No. Collection & Race & Medical Briefing. 4.00am – 5.30am Registration, Race No. Collection, Kit Checks. 5.30am – 5:40am Start Line Photo. At least 21 years old + on Race-day. 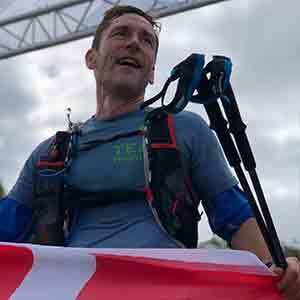 We feel entrants must have completed at least a 50 mile ultramarathon prior to taking on the 2019 Scottish ‘Ultra Great Britain’ route but we do strongly recommend taking on a 100 mile Race prior to the onset of the #RaceAcrossGreatBritain 2019. Medical Certificate (supplied by GB Ultras) signed by your Doctor and dated within 3 months prior to the event stating in good health and no reason not to run Ultra Great Britain Ultramarathon. Feel free to email UGB200@GBUltras.com with any questions. 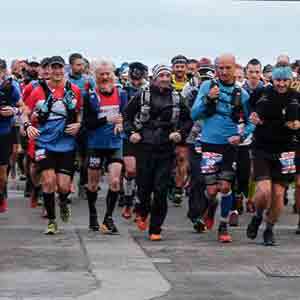 All entrants are invited to join the Team on training runs covering the Ultra Great Britain 2019 route prior to Race day along the Southern Upland Way. You can attend as many as you like, and one or both days with the aim of learning the most of the route and increasing confidence should for Race day. You’ll also have the chance to meet other runners taking on the Race. 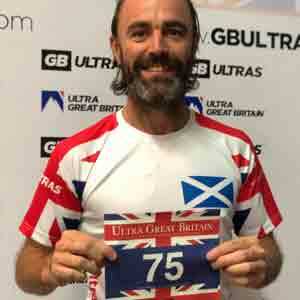 The training runs are free of charge to attend, we simply ask that runners confirm their attendance via sending an email to ugb200@gbultras.com and/or joining the Ultra Great Britain Community Forum so that closer to the time we can help make arrangements. The idea would be to have some of the runners cars dropped off at the end point of the day’s run, arrange pick up of said runners from this point and bring them to the Start point. At the end of the day’s running, those with the car’s waiting at the finish point, drop runners back to their cars at the day’s Start point. We find this a sensible approach, promoting car sharing, organisation, avoiding charging for mini-bus hire, and also reducing the impact on the environment. 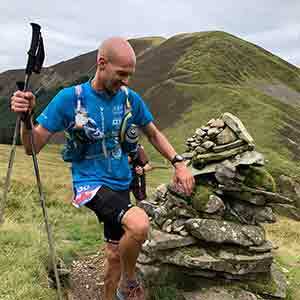 The Mandatory Kit stipulated in this section must be carried at all times during Ultra Great Britain as it is the duty of the participant to be self-sufficient throughout the event. The Checkpoints merely support your progress. Hardcopy Southern Upland Way Map – available at Harvey Maps – Runners obtain a 20% discount code for the Harvey Map upon sign up to the Race. GPS Tracker (Provided by GB Ultras Prior to the Race). Checkpoint 2 – 45 Miles. Glentrool Village Hall, DG8 6SY. NX35865 78428. Cut off 02.15am Sunday (20 hours). Checkpoint 3 – 67 Miles. St Johns Town of Dalry Village Hall, Ayr Road, DG7 3SW. NX61895 81190. Cut off 12.09pm Sunday (30 hours). Checkpoint 5 – 101 Miles. Wanlockhead Community Centre, Church Street, ML12 6UT. NS87400 12950. Cut-off 03.27am Monday (45 hours). Checkpoint 6 – 121 Miles. Beattock Village Hall, Craigielands Village, DG10 9QZ. NT07935 02295. Cut off 12.27pm Monday (54 hours). Checkpoint 7 – 143 Miles. Tibbie Shiels, St Mary’s Loch, TD7 5LH. NT24095 20595. Cutoff 10.21pm Monday (64 hours). Checkpoint 8 – 164 Miles. Fairnilee Fishing Hut, Beside the River Tweed, B7060, Approx TD1 3PR/TD1 3PP. NT45875 32580. Cut off 7.48am Tuesday (74 hours). Checkpoint 9 – 182 Miles. Lauder Public Hall, The Avenue, Lauder, Approx Postcode TD2 6TD. NT53050 47670. Cut Off 3.54pm Tuesday (82 hours). Checkpoint 11 – 197 Miles. Longformacus Village Hall, Duns Rd, TD11 3PB. NT69345 57095. Cut-off 10.39pm Tuesday (89 hours). Each Checkpoint provides water, further refreshments, and a variety of snacks and at most venues (Village Halls), hot food too. Checkpoint locations may change. Runners are self-sufficient between checkpoints, but are allowed a Support Crew from Glentrool onwards. 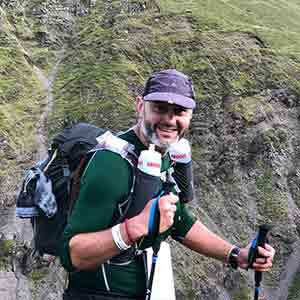 Runners must carry mandatory kit and must carry their days food with them along with 1 day emergency rations due to the inaccessibility of the route should a runner lose bearings. A hard copy map of the Southern Upland Way and a compass must also be carried. GPX file is available above, please note new Official SUW route now includes Gateshaw Rig, Croft Head and the descent via Cat Shoulder to Selcoth Burn. Runners are permitted to have their own Support Crew during the race, please note the 2019 ‘Support Points’. However, no pacer is permitted. Runners must make their own prior arrangements for accommodation and transport before and after the event. To ensure that every runner is looked after and accounted for sleep is only permitted at Village Halls, Designated Venues & Checkpoints, or at Support Vehicles. It is not permitted to book accommodation away from the trail as this is a Race. This is also to ensure everyone is treated equally in the Race Across Scotland. Each runner must carry their Mandatory kit at anyone time to ensure fairness during the Race. Runners can utilise Dropbag facilities at CP3, CP6 & CP9. Dropbags will be transported to the Finish line for runners to collect at Cocksburnspath Village Hall. Runners can have their own Support Team/Crew to Support their Race. Depending on the location, no more than one or two Support Crews members supporting an individual runner are permitted in a Village Hall at any one time, these must not impede Village Halls nor other runners and further Info will be provided to Crews closer to the event indicating where the Crews are permitted. Some of the Village Halls are medium sized Halls so to have 3 or 4 crew members for one runner limits the space. Support crews must not take the food nor drink from the Village Hall except for their runner unless given permission to do so. Support Crews must respect Event Staff and are not permitted into the kitchen area unless given permission to do so by the Checkpoint Manager. Failure to do so will result in the Support crew being asked to leave the Venue and possible time implications or disqualification of the runner. 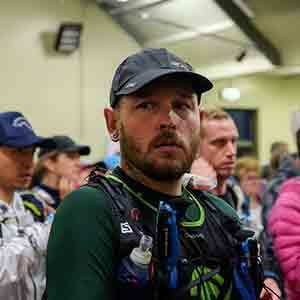 During night time periods or if it is obvious runners are sleeping at the Hall it is essential that Support crews respect other runners and keep their voices quiet or they will be asked to leave the venue. Support Crews Permitted from Checkpoint 2 – Glentrool Village Hall. For those with a Support Crew, at Race Registration, we require a Name and Contact Number(s) for each member of your Support Crew. All runners are permitted to have a Support Crew from Checkpoint 2 onwards (please ensure that your Support Crew abides by the Rules of each CP). Checkpoint 1 – 13 Miles. Castle Kennedy Fuel Station (No Support Vehicles Permitted), DG9 8RY. NX10830 59755. Cut-off 11.51am Saturday. Checkpoint 2 – 45 Miles. Glentrool Village Hall, DG8 6SY. NX35865 78428. Cut off 02.15am Sunday (20 hours). ACCESS PERMITTED FROM THIS VENUE ONWARDS. Access Point – 47 Miles – Glentrool Visitor Centre, DG8 6SZ. Emergency Access Only – 54 Miles – White Laggan Mountain Bothy – Loch Dee – N.B. Tarmac single track turning to very rough track, DG8 6SU. Vehicles permitted part of the way down the rough track until Forestry land, authorised vehicles only, minimal passing places. Emergency Access Point – 88 Miles – Polgown Farm – Nith Valley, DG3 4NL – beside the Southern Upland Way. Kirsty, the lady who runs the farm with her husband, is a First Aider should help be needed and has a sign outside stating Walkers Welcome, Bacon Sandwiches (Bring Cash). She’ll also have some Blister kits available to purchase. After discussing the Race passing through, her opening times are 9am – 8pm Sunday. (2019 timings tbc) N.B. Single track Tarmac road for majority of drive with minimal passing places making it difficult if vehicles coming the other direction. Avoid unless Runner withdrawing from Race. Resupply/Rest – 101 Miles – Wanlockhead Inn – ML12 6UZ – Sunday 12pm – 9pm. (PreBookable) Camping Pods Available to hire – Community Centre Hall across the road. Checkpoint 5 – 101 Miles. Wanlockhead Community Centre, Church Street, ML12 6UT. NS87400 12950. Cut-off 03.27am Monday (45 hours). Maximum 2 Support Crew members. Respect other participants. Checkpoint 6 – 121 Miles. Beattock Village Hall, Craigielands Village, DG10 9QZ. NT07935 02295. Cut off 12.27pm Monday (54 hours). Max 1 Support crew member at anyone time. Support team member must be quiet on entering the Hall. Emergency Shelter/Additional Water – 132 Miles – Parking at Potburn, Over Phawhope Bothy. Passing Ettrick, A708, Selkirk, TD7 5JD. Single track tarmac all the way to the Forestry Commission gate where you can see & walk over to the Bothy. Passing Places. Tarmac road. Runners also run down this road towards you for a good few miles during the Race, be mindful of this. Checkpoint 7 – 143 Miles. Tibbie Shiels, St Mary’s Loch, TD7 5LH. NT24095 20595. Cut off 10.21pm Monday (64 hours).- No Support Crews permitted at Tibbie Shiels due to issues with noise in 2018. However, there’s a communal parking/picnic area a short walk away where Support Crews are permitted (opposite The Glen Cafe). Access Point/Supplies – 143 Miles – The Glen Cafe, St Mary’s Loch, TD7 5LH. 10am – 5pm (Kitchen closes at 4pm). Access Point – 146 Miles – End of St Mary’s Loch, Runners Crossing A708 Road – Approx Postcode TD7 5LF – limited passing bay’s on this end. Access Point – 155 Miles – Traquair Village Hall Car Park, 1 The Bield, Traquair, Innerleithen EH44 6PJ – No camper vans permited – this is not our venue. Checkpoint 8 – 164 Miles. Fairnilee Fishing Hut, Beside the River Tweed, B7060, Approx TD1 3PR/TD1 3PP. NT45875 32580. Cut off 7.48am Tuesday (74 hours). Max 1 Support Crew Member. Access Point – 167 Miles – Galashiels Swimming Pool Car Park, Livingstone Place, Galashiels, TD1 1DQ – Various other Access Urban Points for the next 5 miles. Resupply – just off route – Co-op Convenience Store, High Street, Melrose, TD6 9RU. Open from 7am – 10pm. Access Point – 172 Miles – Runners cross the Chainbridge (short walk away), Parking at St Mary’s Rd, Melrose TD6 9LJ. Checkpoint 10 – 182 Miles. Lauder Public Hall, The Avenue, Lauder, Approx Postcode TD2 6TD. NT53050 47670. Cut Off 3.54pm Tuesday (82 hours). Max. 2 Support Crew Members. Resupply – 182 Miles – Shops, cafes’, pubs, takeaway options in Lauder, TD2 6TW. Access Point – 194 Miles – The Watch Water Fishery Cafe, (Hot drinks, uncertain opening times) TD11 3PG. Access Point – 204 Miles – The Square, Abbey St Bathans, Duns TD11 3TX. 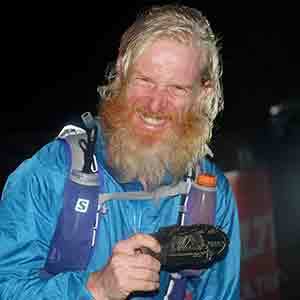 Each ultra runner agrees and understands the full nature of an Ultra-Marathon. 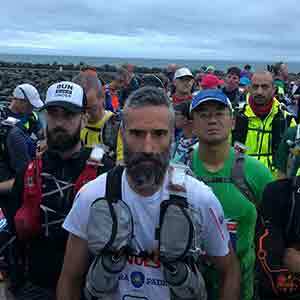 That an Ultra-Marathon involves running throughout the day and well into the night at times with limited rest over challenging terrain with inherent risks of changing weather conditions. Each ultra runner understands that it is their responsibility to adequately train for the event, and monitor their own health throughout and are ultimately responsible for their own safety. 30. 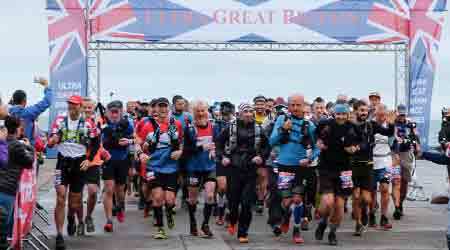 Upon withdrawal or completion of Ultra Great Britain, the runner agrees to return the GPS tracker to the Race Organiser. If a GPS tracker is not returned to a dedicated Race Marshal then the runner will be charged £150 + VAT. 31. The selection of the Scottish Parliament as a Venue is Subject to the Scottish Parliaments own set of Terms and Conditions. 7.1.3 the Event would, in the SPCB’s reasonable opinion, damage or prejudice the reputation or good name of the Scottish Parliament, MSP’s or the SPCB. 7.2.2 the Venue or the Premises are closed due to circumstances outside its control which precludes the Event taking place, for example, but not limited to a date agreed with the SPCB. If you see a runner experiencing difficulties please inform Checkpoint Marshals. Each runner has Head Quarters mobile numbers on their bib. No roads are closed en route so please exercise due diligence and care at all times. This will mean that participants have to slow, possibly stop to cross roads. There are certain sections that lead onto country road, and/or road crossings – due to the length of the route – it won’t be possible to marshal a 200 mile route. It is the role of the entrant to be self-sufficient. Our team will endeavour to reach any participant in difficulty within 4 hours due to the inaccessibility of the Trail. Medical staff will be dispatched as quickly as possible. Phones must be used only in emergency to conserve battery power should the need arise. Participants who lose time helping another fallen participant, struggling against the cut off time due to this reason, can claim this time back, subject to RD discretion, Checkpoint/Village Hall availability, and under the proviso of completing within their new, extended cut off period. GB Ultras believe all participants should make proper and mindful transport arrangements prior to the event and NO participant should be in charge of a car directly after the event. Please make sensible arrangements. 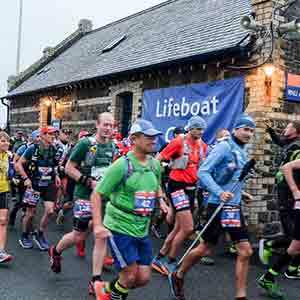 Prior to the race – Due to the nature of the event HIRING Village Halls across Scotland and committing to Tracking Costs, Medical Contracts and Suppliers, costs are incurred as soon as a participant signs up, NO refunds are possible in this event. However, GB Ultras understand injuries do occur so would URGE ALL RUNNERS to take out DOGTAG PERSONAL MEDICAL COVER or BMC Personal Cover to help claim back the entry fee (due to injury) and thus following the insurance companies process. Please be aware that the Insurance Company determines whether the nature of your injury will necessitate a refund. During the race – Unless medically unable, you should only be withdrawing from the Race at a Checkpoint Only. It is not our responsibility to pick up a runner short of a Checkpoint. 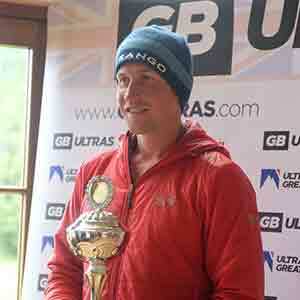 Please inform a GB Ultras Race Marshal or the Event Director of your withdrawal. This will ensure all participants who are registered and pull out of the race are accounted for, allowing for the accurate and safe running of the event. If a participant withdraws at a Checkpoint they must hand over their race number AND GPS TRACKER to Senior Race Staff to signal their retirement. Marshals’ will inform one of the Race Director’s and communicate the withdrawal to each of the remaining Checkpoints so that they can then update their lists. A sweeper after the cut off time will take retired participants to the Finish Venue, there may well be a wait to be picked up. Although ultimately decisions to continue are in the hands of the runner, GB Ultras reserve the right to pull any participant out of the race on health grounds. Events are nothing without Volunteers. Event costs can be reduced for the following year’s event, providing criteria is met. It would be amazing if you could join us and help bring the event to life.